Out of nowhere 20th Century Fox has decided to release the first look at next summer's Independence Day sequel. Of course, this isn't really out of nowhere as everyone in their right mind is vying for a spot in front of Star Wars: The Force Awakens this Friday and Fox has simply thrown their hat in the ring with both the X-Men Apocalyspe trailer that debuted Friday and now the twenty years later sequel that will undoubtedly hope to cash in on some of that nostalgia money Jurassic World was able to make this past summer. Unlike World though, this property has many a returning factors. Director Roland Emmerich has directed what looks to be a real time second chapter to the story of the 1996 alien invasion where the likes of Jeff Goldblum, Bill Pullman, Judd Hirsh, and Vivica A. Fox are all back to once again defend the planet from incoming invaders, but sadly there is no Will Smith to be seen. The set-up has a neat little conceit to it as Goldblum's David Levinson has seemingly been leading the charge to ready the Earth for the inevitable by using the alien technology they acquired after the events of the first film to protect them if the aliens were ever to return. Well, guess what-they're back. While this first glimpse at the footage for the upcoming film looks to be in line with what today's audiences expect in terms of dark and gritty and taking things fairly serious, I wouldn't be surprised if the final film is much more in line with the tone of the original. Plus, Emmerich is always a reliable source for big, brainless summer spectacle and I expect nothing short of such entertainment here. 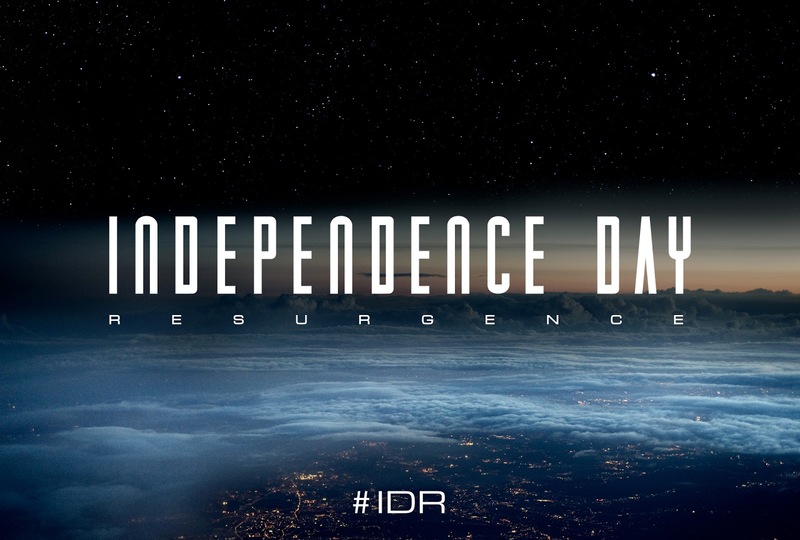 Independence Day: Resurgence also stars Liam Hemsworth, Brent Spiner, Charlotte Gainsbourg, Jessie Usher, Maika Monroe, Sela Ward, and opens on June 24, 2016.